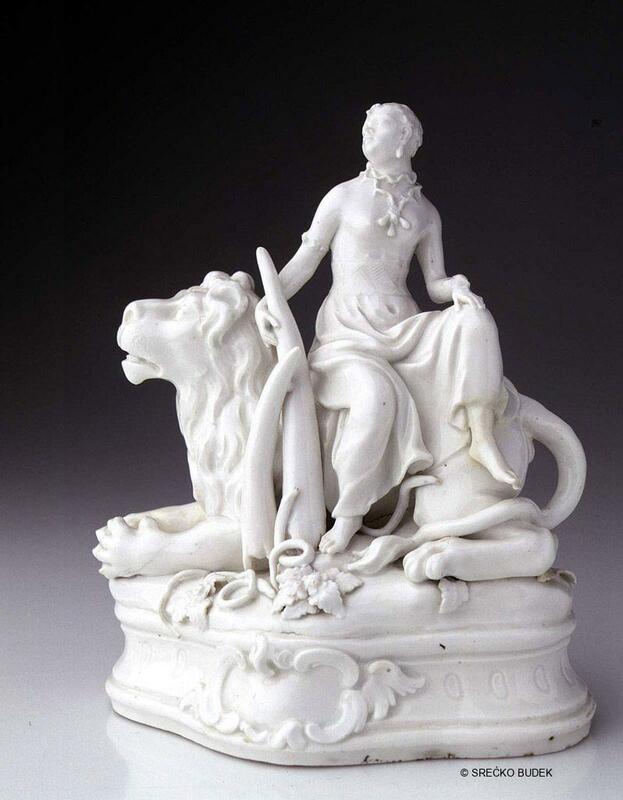 On a low scalloped base, with relief decoration, are four female figures – allegories of the four continents. Europe, presented as the Ruler, is on horseback and has one leg resting on a globe. 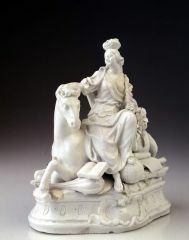 At her feet are an open book, a lute, fasces and a scroll. Africa, seated on a lion, holds an elephant's tusk in her right hand with smaller tusks and snakes at her feet. 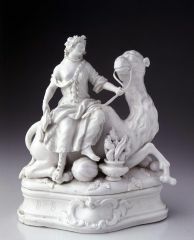 Asia, seated on a camel, has one leg on a pumpkin; alongside the pumpkin is a vessel from which smoke is rising. America is an American Indian on the back of a crocodile. She holds an eagle in her left hand, her right foot resting on decapitated human head on the ground. 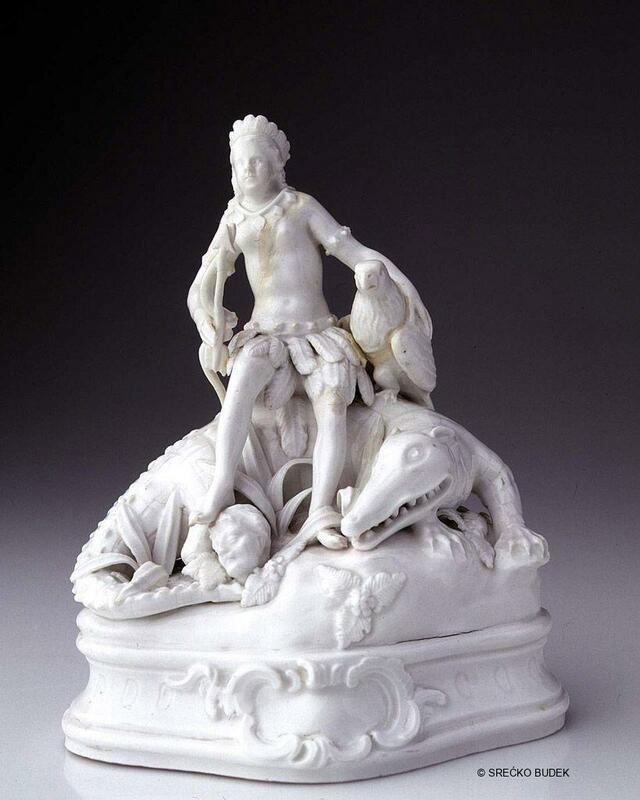 All the figures are marked with the imprinted seal of the Viennese porcelain manufactory (the Austrian shield) and the mark bossierer (M). 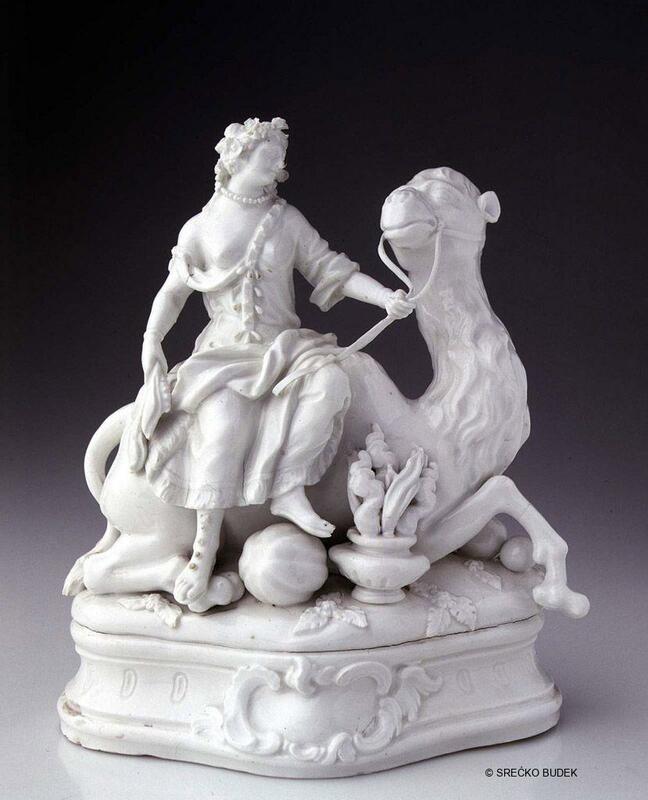 A group of unpainted porcelain female figures – allegories of the four continents – Europe, Africa, Asia and America. By the imprinted seal of the Viennese porcelain manufactory and stylistic analysis. From the Erwin Weiss Collection, Zagreb. Od svagdana do blagdana. Barok u Hrvatskoj. Katalog izložbe (From Everyday to Holidays: Baroque in Croatia), exhibition catalogue, Zagreb, 1993, pp. 274–275. Staničić, S., Porculan. Meissen-Beč. Zbirka keramike Muzeja za umjetnost i obrt, Zagreb, Zagreb, 2004, p. 142.